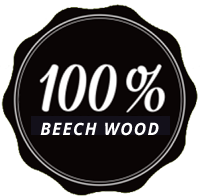 The advantage that is offered by beech pellets is that the beech pellets are high-calorie biological fuel that has a high energy value of about 18,000 MJ / t. For comparison purposes, let's say that this is an approximate equivalent of 500 liters of oil fuel, 600 m³ of natural gas and 5000 kWh of electricity. The maximum energy utilization of the pellets is up to 98%, and the ash level after the combustion, as a by-product, is 0.5% - 1%. The fact that coal and wood use up to 75% of energy is a clear indication of the high economic cost of the beech pellets. Switching on pellet heating not only allows savings and reduces heating costs, but also increases overall comfort during the heating season. One of the main advantages of pellet is that the burning process can be completely automated, and that the burning of the pellet creates very little ash, which is an advantage over heating with other forms of solid heating material. Pellet furnaces are aesthetically designed and easy to fit into any home or work space. The entire system is automated and the pellets are automatically inserted into the furnace if necessary. Another advantage of the pellet furnace in comparison to the classic wood furnace is that the pellet furnace heats for two to three days, and the only thing left for you to do is to fill the pellet furnace and empty the bowl with collected ash twice a month at most. The controls of starting, shutting down, decreasing and increasing the temperature can be controlled by the remote control or even by mobile phone. During the burning process pellet creates a very small percentage of harmful gases (CO2, sulfur, mercury and others) that cause the greenhouse effect. Analyses have confirmed that when pellet burns it generates the same amount of CO2 which is required for the tree's own growth. If we bring this fact down to the practical level, this means that 2 kg of beech pellet is energy equal to 1 liter of oil, with 1 kg of pellets giving 5 kWh of heat energy. 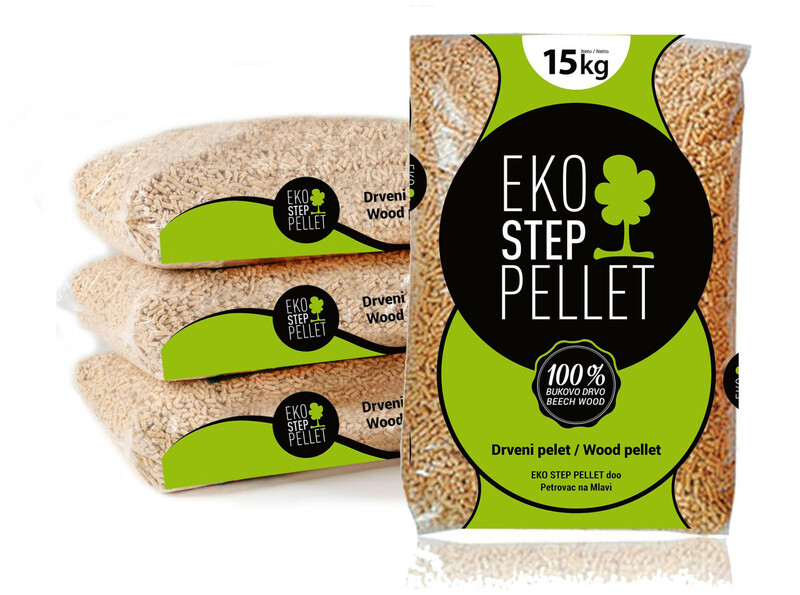 We sell the pellets throughout Serbia. The pellets are packed in 15 kg bags, and there are 70 bags on the pallet, e.i. 1050 kg of the pellets. Also in "big bag" 1030 kg bags. 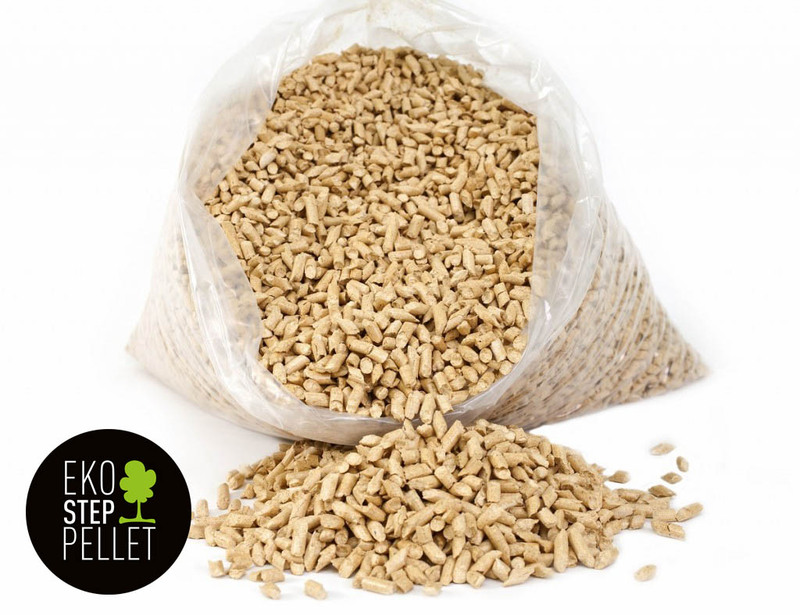 The wholesale of the beech pellets is available at our factory, and in the widespread network of pellet retailers. The price of pellets is divided into two seasons, summer and winter. The purchase of the pellets is best done after the heating season. The price of the pellets is then at its lowest, i.e. the pellets are then the cheapest. The difference in the price of the pellets between the two seasons can range up to 30-40 Euros per ton. Therefore, it is better to purchase the pellet off-season, when the price of the beech pellets is lower. The customers can thus make a significant savings in the price difference that exists in that period. The price of the pellets also depends on the quantity, and the larger the quantity ordered, the higher the economic profitability of the purchased pellets.